Sweet Potato Sticks Treat. All natural, homemade, healthy, delicious and always made in the USA! These homemade dog treats are made from quality ingredients and always made in the USA. They are sweet potatoes that are cut into strips and dehydrated. Dogs love these healthy treats and you can feel guilt free giving them to your beloved dog. Handmade and made in NJ from local ingredients. Made to order so never sitting on shelves. You get the freshest product for your dog! High In protein and low in fat. Lab tested and guaranteed Analysis on the package! High in protein and low in calories and fat! Great with dogs that have food allergies or sensitive stomachs! We can also custom make and change anything about a particular item! Chicken Jerky Treat All natural, homemade, healthy, delicious and always made in the USA! Sweet Potato Sticks Treat (large.) All natural, homemade, healthy, delicious and always made in the USA! Beef Jerky Treat. All natural, homemade, healthy, delicious and always made in the USA! Sweet Chicken WrapTreat (small 4oz.) All natural, homemade, healthy, delicious and always made in the USA! Pork Wrapped Pear Jerky Treat. All natural, homemade, healthy, delicious and always made in the USA! Beef wrapped Apple Jerky Treat. All natural, homemade, healthy, delicious and always made in the USA! Trio stick Jerky Treat All natural, homemade, healthy, delicious and always made in the USA! Sweet Chicken Wrap Jerky Treat (large) All natural, homemade, healthy, delicious and always made in the USA! This is well made and pure sweet potato. Our dog grabbed it and ate it up. Super Meaty Sticks (2 Pack). All natural, no preservatives, and made in the USA. The pups loved this treat -pretty much devoured it within minutes of giving it to them. I will def be coming back for more! Twisted chicken and beef Jerky Treat All natural, homemade, healthy, delicious and always made in the USA! Sweet Chicken Wrap Jerky Treat (small 4oz) All natural, homemade, healthy, delicious and always made in the USA! Chicken Nuggets stuffed with Butternut Squash. All natural, homemade, healthy, delicious and always made in the USA! 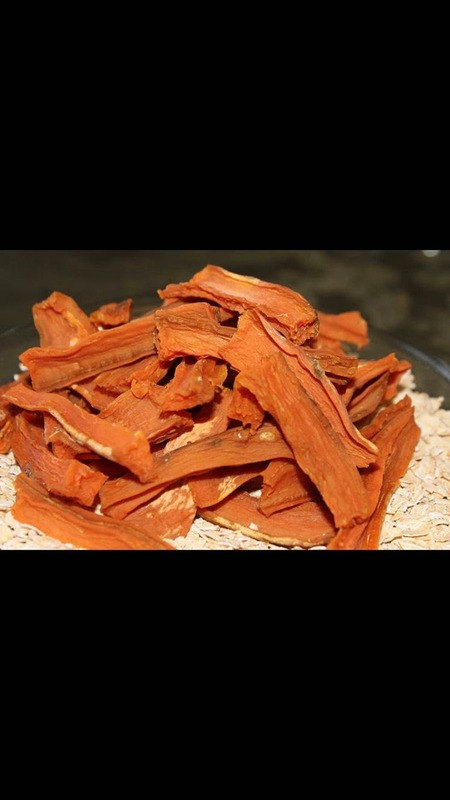 Chicken Jerky Treat (large) All natural, homemade, healthy, delicious and always made in the USA! Beef Jerky Treat (large) All natural, homemade, healthy, delicious and always made in the USA! Pork Wrapped Pear Jerky Treat (large) All natural, homemade, healthy, delicious and always made in the USA! Trio Jerky Stick Treat (large.) All natural, homemade, healthy, delicious and alwats made in the USA!